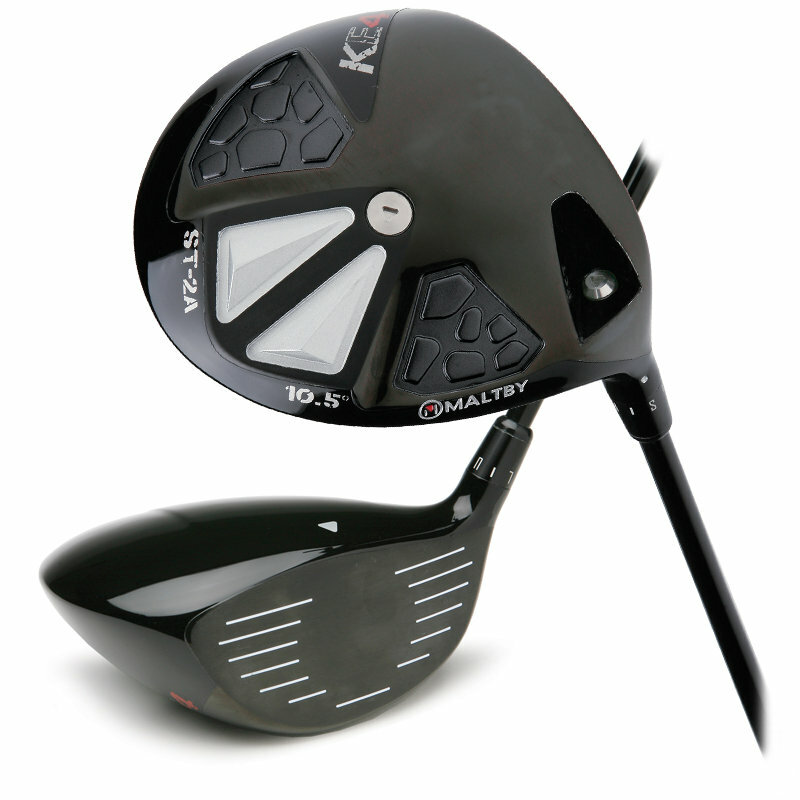 The Maltby KE4 ST-2A Drivers were designed both internally and externally to enhance the ball flight, sound at impact and overall distance for golfers of varying swing speeds. The 10.5º driver’s center of gravity placement is optimized to promote a high launching ball flight with mid spin and maximum forgiveness for slower swings or players with naturally low ball flights. The 9.5º driver’s center of gravity position is centrally located on the sole but more forward than the 10.5º to significantly reduce spin rates and produce a penetrating mid to high launch angle for higher swing speeds or any player that loses distance from excessive back spin. The FCT (Flight Control Technolory) adjustable hosel adaptor with 8 setting options allows for the loft and face angle of both drivers to be adjusted to even further fine tune the launch angle, spin rate and initial ball flight direction of both driver options. The KE4 ST-2A driver is a 455cc, 2 piece precision cast head and features 360º internal ribbing and two external Water Shed sole pads to increase head durability and to promote a more muted, solid sound at impact. The ST-2A face is forged from 6-4 titanium and features a CNC milled VFT face design to increase ball speeds over the entire hitting surface to maximize ball speeds on both center and off center hits. Adjustable Weight Technology (AWT) allows for head weight adjustments using the Maltby Triangle Weights to customize feel and swingweight.